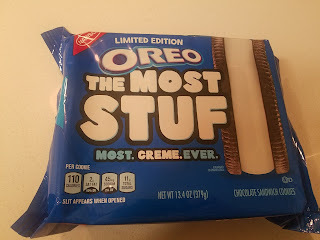 As a person who is consistent in only eating the frosting layer of cakes and saving the tops of cupcakes for last, you can imagine my delight when I heard that Nabisco was coming out with their “Most Stuffed” version of the classic cookie. 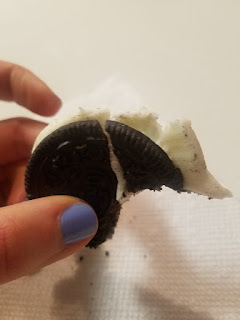 When I was a mere tot, I would twist the Oreo cookies apart and push the crème sides of two cookies together, discarding the plain wafers, maintaining the notion that one good cookie beats out two mediocre cookies any day. On an errand run, while we were adulting so hard, the clouds of responsibility parted and the sun shined down on our cart in Walmart as my boyfriend pulled the blue familiar package off of the display shelf for us to purchase. Not lost from sight in the sea of paper towels, tissues and cold medicine, we instantly had something to look forward to. A store filled with an abundance of degenerates with no space to push your shopping cart? No problem. From that moment on, life was going to be okay. Sugar and its healing effects, I’ll tell you. Looking at the packaging, the only real difference here is the graphic and the promise that it will never get any better than this. 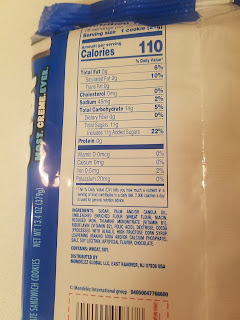 I’ve never really been a huge fan of their “convenient” pull down opening as it never seals quite right, but that only matters if your cookies are going to hang around for a particularly long time. 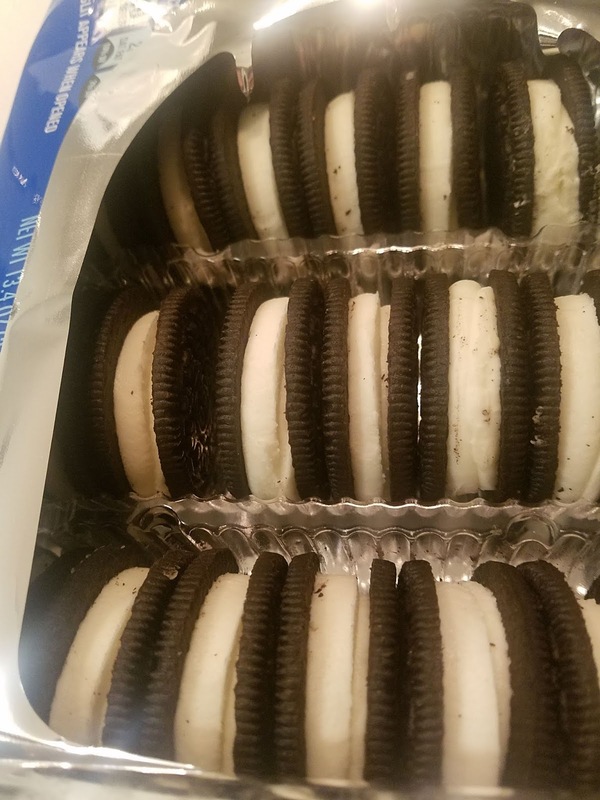 In opening the package up, it was clear that there are a lot less cookies on offer here. Each row seems to have an abundance of unfilled space, as though some cookies simply disappeared from the packaging. 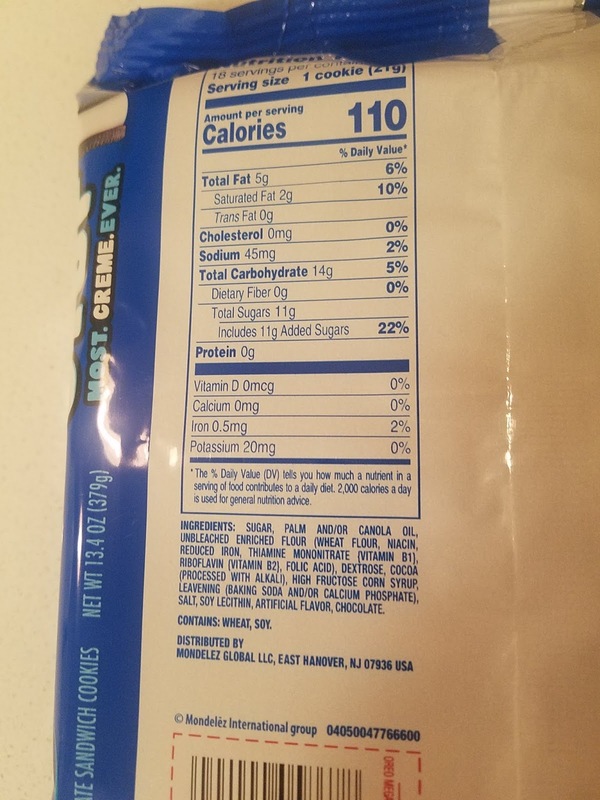 At the 110 calories PER cookie and 22% of daily sugar allotment for just one, maybe the disappearing cookies were for our own benefit. These cookies are simply amazing. You bite into them and the crème filling just oozes out. 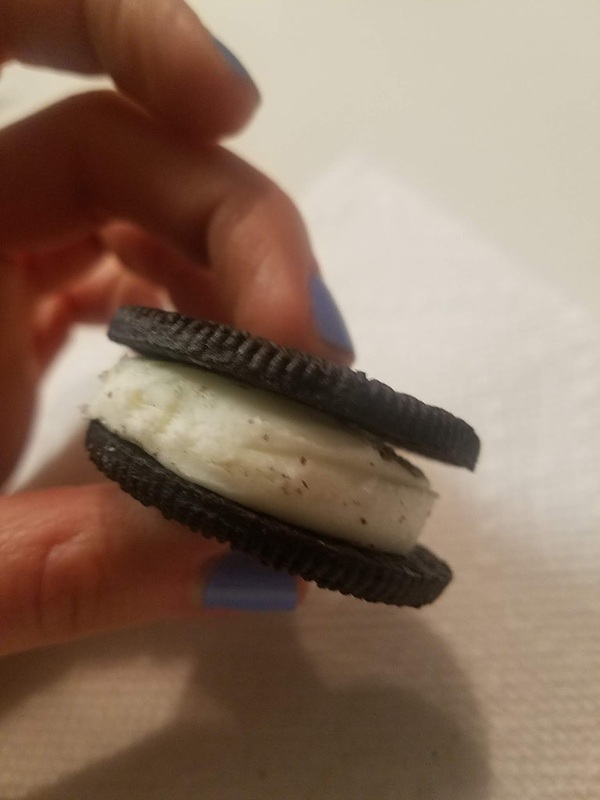 The wafers are harder than they normally are, but they have a big job to do here. You don’t build Hoover Dam with veneer. The proportion is perfect and the only thing I am left wanting for is a lower calorie count. 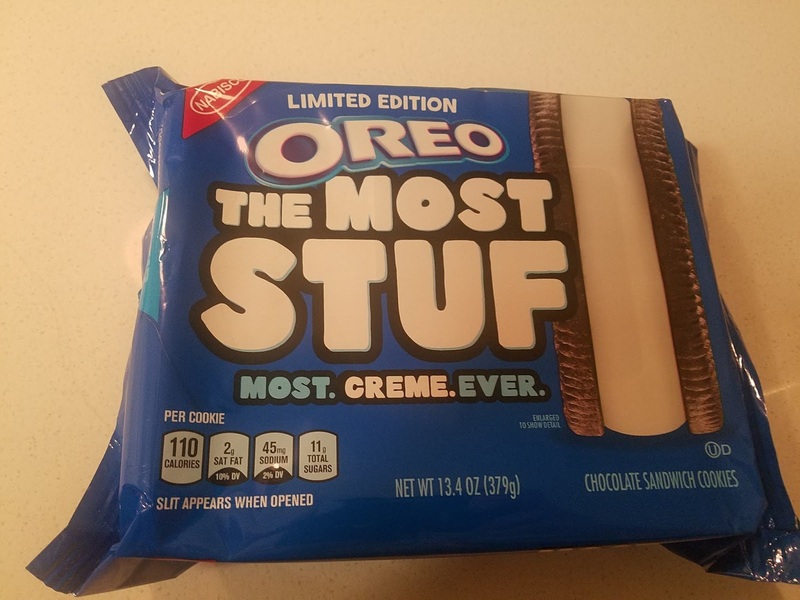 As you eat these cookies, the frosting oozes out of the other side, so I imagine these cookies wouldn’t be great to eat in the car, etc. Unless you’re the kind of person who tells everyone that Biscotti is your favorite cookie, get out and try these amazing limited time dreams come true. Your inner 8 year old will thank you.